Bagan Fishing Village is located around Bagan Road in Sekinchan. Most of the villagers are fishermen or engage in fisheries-related industries. 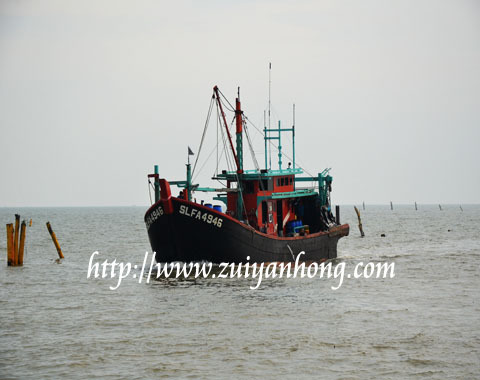 Arriving in Bagan Fishing Village, you will see a lot of fishing boats in different sizes. These boats moored orderly at the jetties. Just like vehicles on land, every fishing boat has an ID. 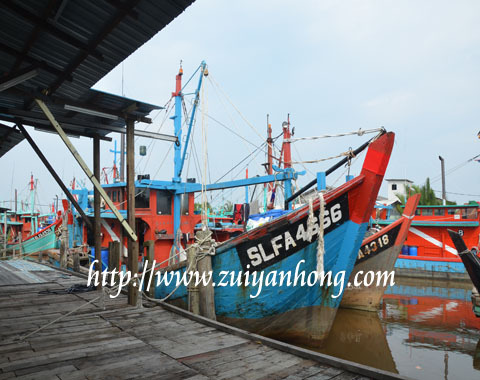 The ID of Selangor fishing boat starts with SL and the ID of Johor fishing boats starts with JH. The fishing boat is returning from catching and sailing toward harbor. 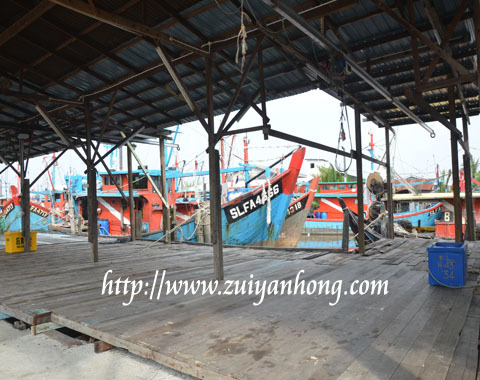 When the boat arrives at the jetty, all the catch will be unloaded. This fishing boat must be using trawling method. The trawlers from Pulau Ketam begin operating at dawn and returning to harbor before sunset. After unloading the catch, the employees of the fishery company will start to categorize and pack the marine products into the containers. Lastly, the containers which are packed with marine products will deliver to various destinations accordingly. What a pity, I didn't take any photo on this scene. If not you can have a clear picture regarding the fishermen's life at Sekinchan Bagan Fishing village.